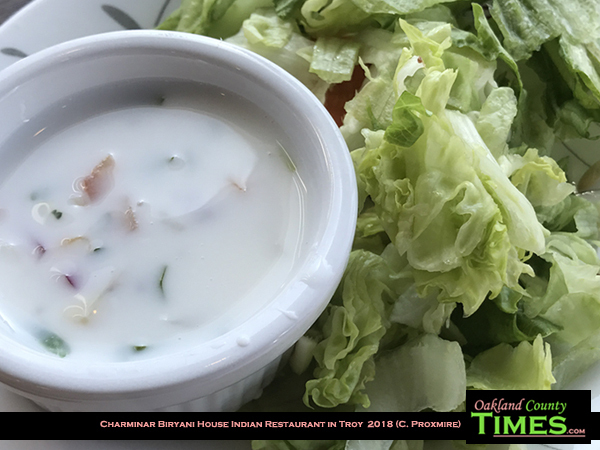 Troy, MI – There is an amazing new restaurant on the corner of John R and Big Beaver Road called Charminar Biryai House Indian Restaurant. It opened three months ago but I didn’t notice it until the large “Lunch Buffet” banners went up in the windows. A friend and I went to have the buffet. 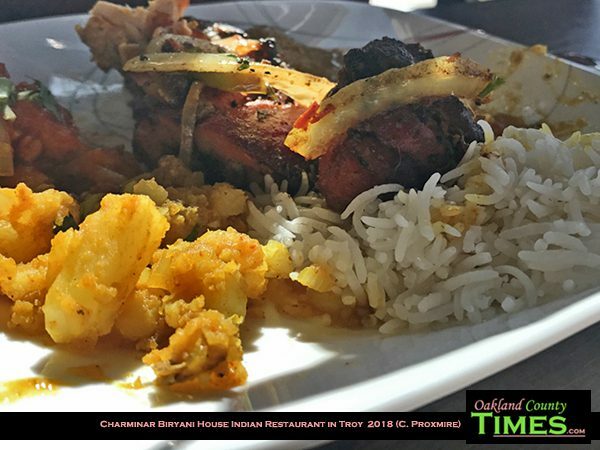 I’d never had Indian food before, but I am now in love. Everything we had was rich with flavor. Not just spicy, but layers of tastes that unfolded with every bite. Tamatar Shorba was one of two soup options. This rich tomato soup had full basil leaves and impressive bites of vegetables. I also had salad, with creamy veggie dressing.that made me actually like the slices of cucumber in the salad. On the sweet side I had a Gulab Jamun, which is a fried cheese dumpling soaked in rose flavored sugar syrup. 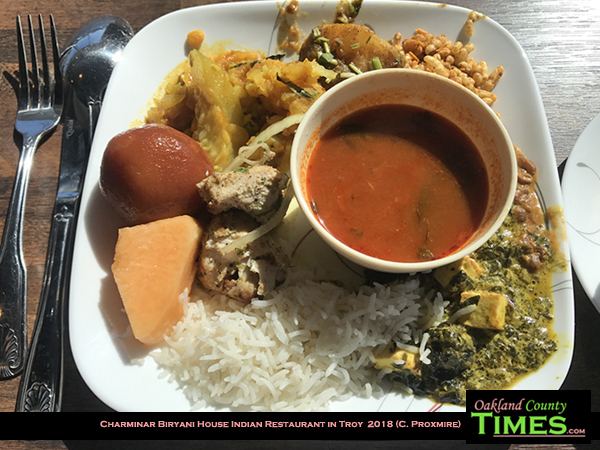 My lunch-mate picked items that were a bit more bold, including chicken curry and Dal Fry, which is traditional Indian yellow lentil cooked with spices, cumin, mustard, garlic and curry leaves. Fresh baked Tandoori Roti/Naan came out while we were eating. This fresh-made bread of whole wheat was made in a clay oven. There was also Chai tea with milk, and many other items that we sampled from the impressive buffet. The owner and staff were friendly, and the building was lovely with windows and sunshine. I am certain this will be a regular lunch spot.